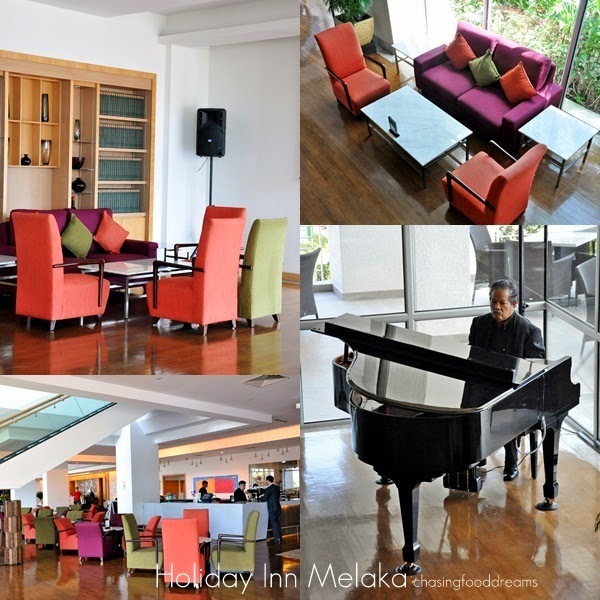 CHASING FOOD DREAMS: Holiday Inn Melaka: Back for Another Cool Weekend Getaway! 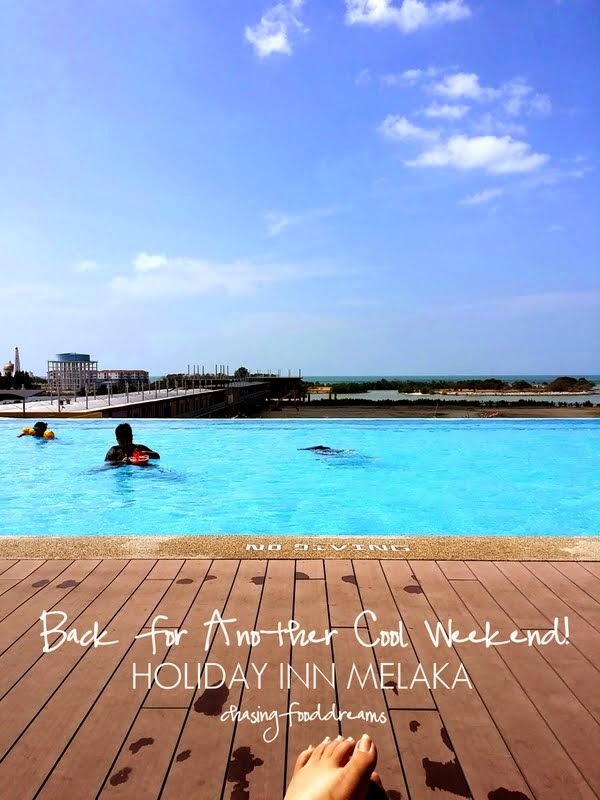 Holiday Inn Melaka: Back for Another Cool Weekend Getaway! The journey of life is a circle. We wake up, we do our daily routine of work or school, we come home in the evening to rest before we hit the bed and repeat what we do all over again. Then comes weekend where some of us get some time off from our week day routines. 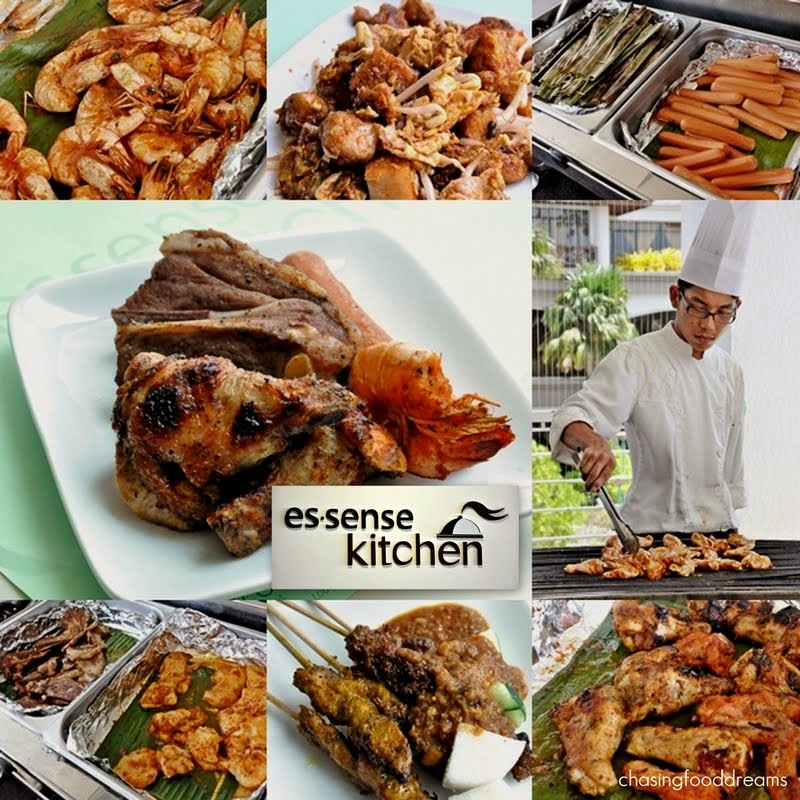 Now normally, weekend is filled with household chores and errands among other duty calls. With all these constantly moving, sometimes we need a break from our daily circle. That’s when vacation calls… long or short, vacations are always much welcome! 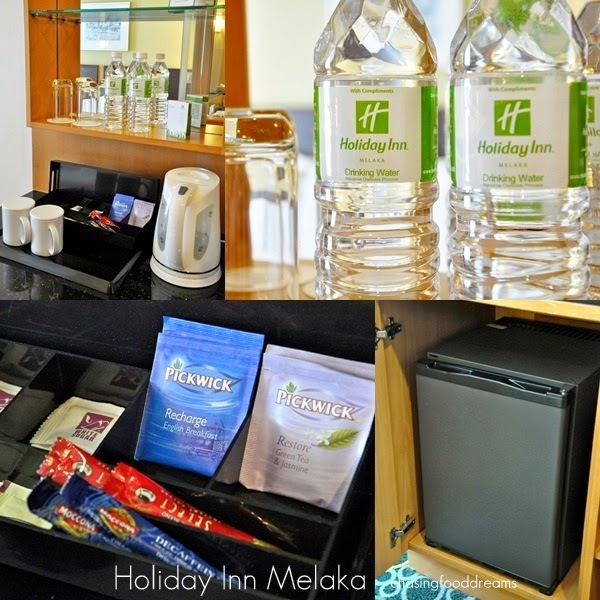 Back in 2012, I had a fabulous short weekend stay at the Holiday Inn Melaka. I still remembered vividly how I love the bed and my stay there. A few weekends ago, my family and I head back for another weekend stay. This time, we went with my foodie BFF, Choi Yen and her family. It was a blast since we both had kids around the same age and my D gets along very well with her Sam. Our ride there was all jolly and smooth. The sun was shining, the sky was blue and everything was near perfect except for the hot and humid air. We arrive and were greeted by much coolness upon stepping into the Holiday Inn Melaka. Set by the waterfront of the Straits of Malacca, there was a light wind together with the sunny weather. Right away, we were handed glasses of chilled drinks. Such a small gesture but makes us feel so welcome and happy right away. A quick wait for check in and another staff offered us a tray filled with chocolate muffins. The kids loved it and I also had one, which was still warm. Our check in was fast and easy and our rooms were ready. When we were last here 2 years ago, D was much younger but now he is 5 years old and loving every minute of any getaways we do. As soon as we were done with check-in, we made our way to our rooms. My Standard bedroom was just how it was, like my prior visit. The hotel room is very well kept and everything looks neat and well maintained. I am reminded how I love the music flowing throughout the room when I turn my television on. 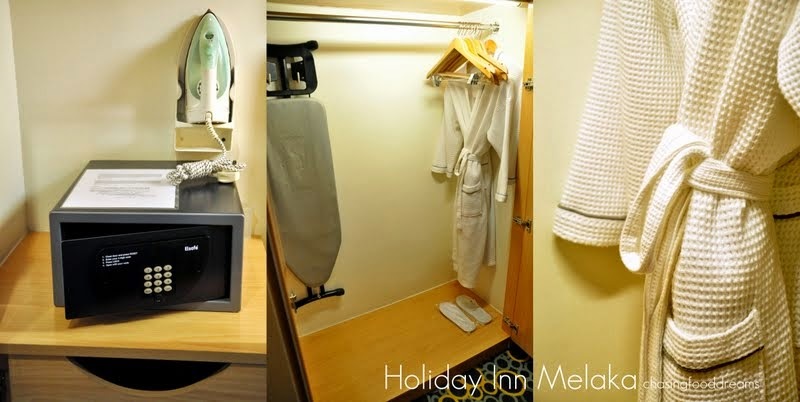 Holiday Inn Melaka features a soothing instrumental music on the hotel’s channel and I just love it so much simply because it certainly adds a beautiful touch to my getaway. The room is filled with lots of natural light as our face the waterfront. We get a view of the sea and blue sky plus the long jetty stretching out to the waters. Our room is equipped with usual television with cable channels, work desk with lamp, electrical outlets, wifi access and phone. Other room amenities are mini fridge and a mini bar with coffee maker, complimentary water, coffee and tea. I am a fan of Pickwick teas and I was happy to see that the hotel still serves these. Besides the above, the hanging closet has iron and ironing board, thick waffled bathrobes, hair dryer, mini safe and hotel slippers. 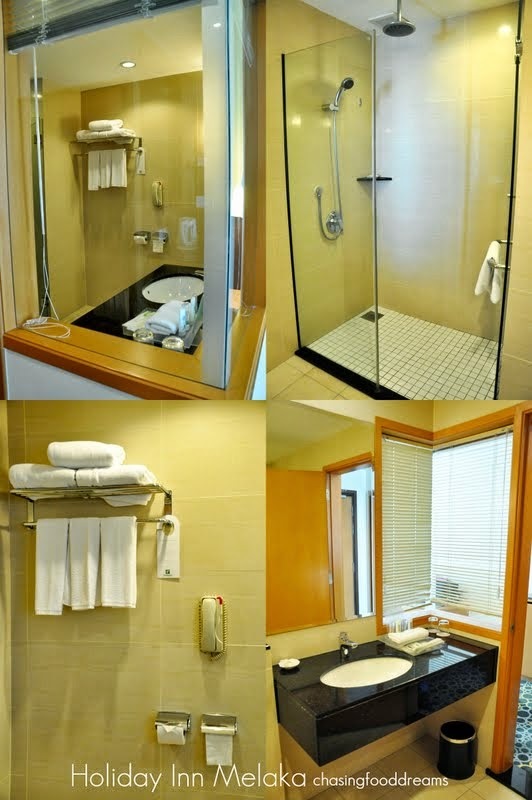 The bathroom features a shower room and the usual bathroom amenities of shampoo, hair conditioner, liquid body soap, body lotion, toothbrush, shower cap, soap, sewing kit and towels. The bathroom is spacious and even has a little glass window between the bathroom and bedroom. 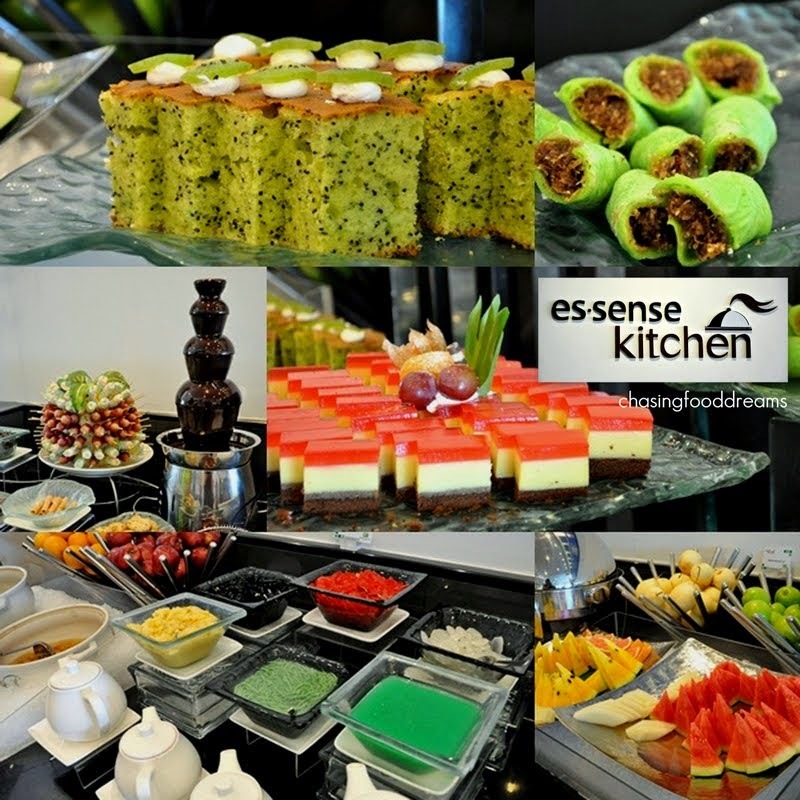 After settling down, we head downstairs for Hi-Tea at Essence Kitchen. The restaurant was pack that day but we had a lovely afternoon savoring yummy BBQ meat and seafood with an array of local and international dishes. I really enjoyed the Satay and Fried Radish Cake here while the Curry Noodles was yummy too. We head out for a stroll around the hotel and were happy to say that everything looks exactly how it was before. The gym and Tea Tree Spa remains immaculate and well kept. The Tea Tree Spa is spacious and is designed with a serene Zen nature. As I walked through the spa, a sense of familiarity swept over me. Our spa rooms are in little Balinese inspired huts and despite the sunny hot weather, the room was cool and peaceful. After a leisure massage, we sipped on potent hot ginger tea to sooth our body. I highly recommend a spa session in any vacation. It really makes a big difference… blissfully relax! We head back to the room for a quick nap on our comfy bed before dinner. Dinner was at one of my favorite Italian restaurant, Sirocco. Together with a few other guests we had a feast that night. I shall feature our dinner in my next post together with our little escapade to Taming Sari and Melaka River Cruise since it would be too long in this one. A quick peek in the evening from our window… the scenery was just breathless! 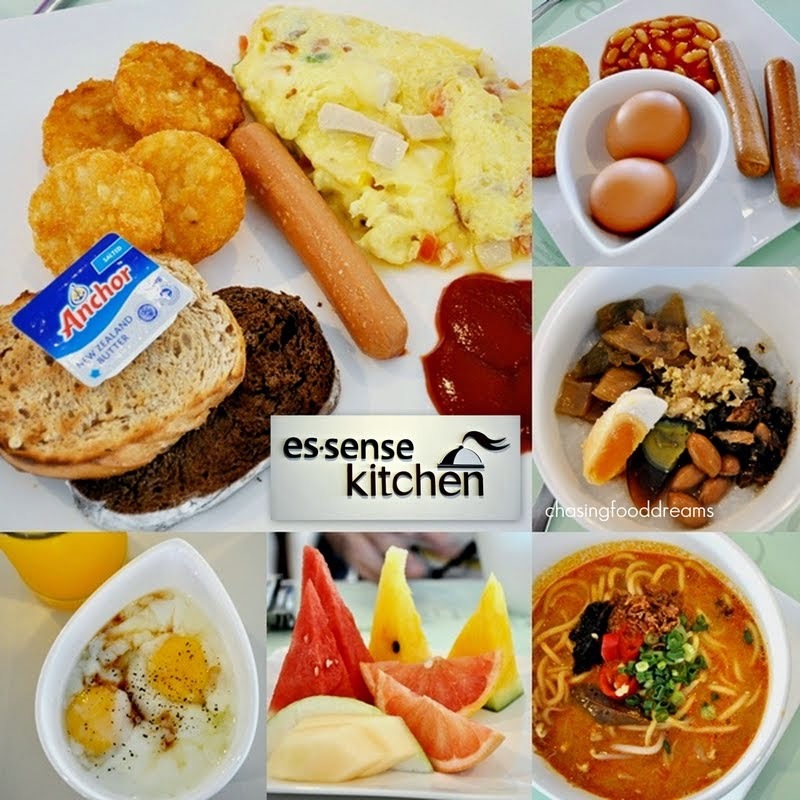 The next morning, we dined at Essence Kitchen again and enjoy their breakfast spread. 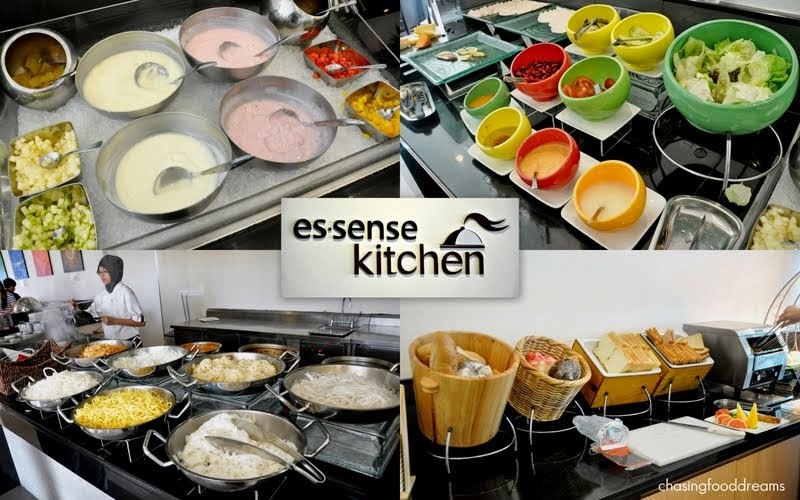 Essence Kitchen features a wide spread of breakfast such as local must-have Nasi Lemak, Mee Goreng, Porridge, noodles, Roti Canai and more. Western spread was equally lovely with hot crispy hash browns, hotdogs, baked beans, and egg station. 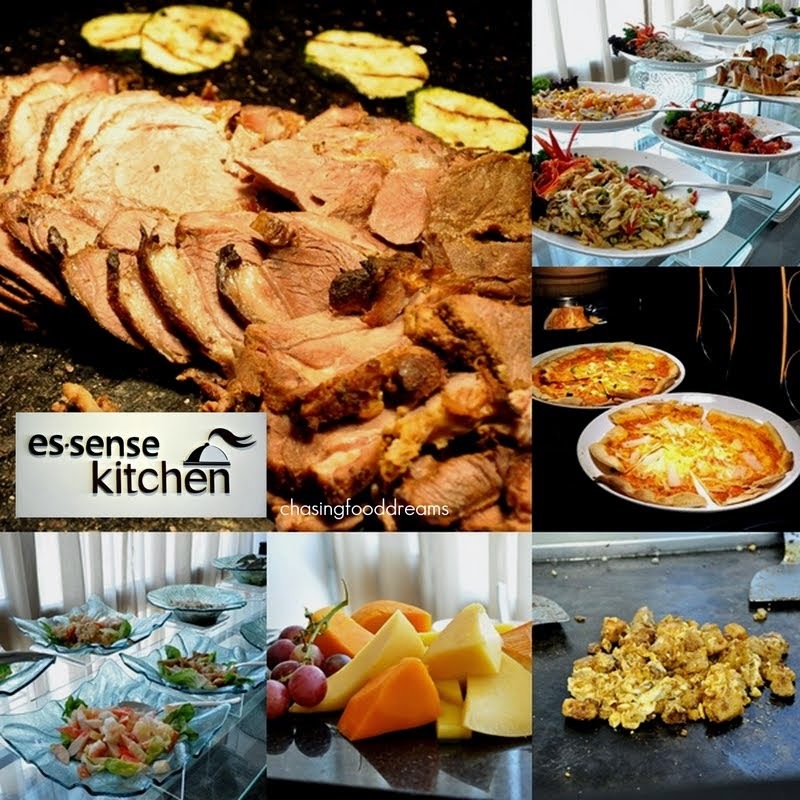 Enjoy lots of pastries and bread or simply enjoy fresh fruits with yoghurt and cereals. My little one enjoyed his half-boiled egg and all the juices provided. 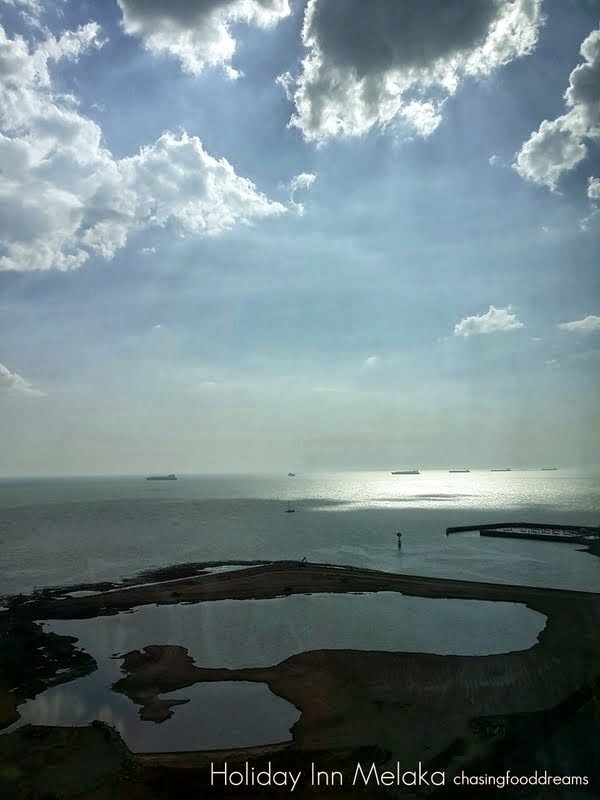 While our kids and other half enjoy the waters, me and Choi Yen… we just put up our feet and enjoy this view! Isn’t it gorgeous? As usual, we hesitated on checking out… our weekend getaway is just too short. We plan to come back for a longer one. 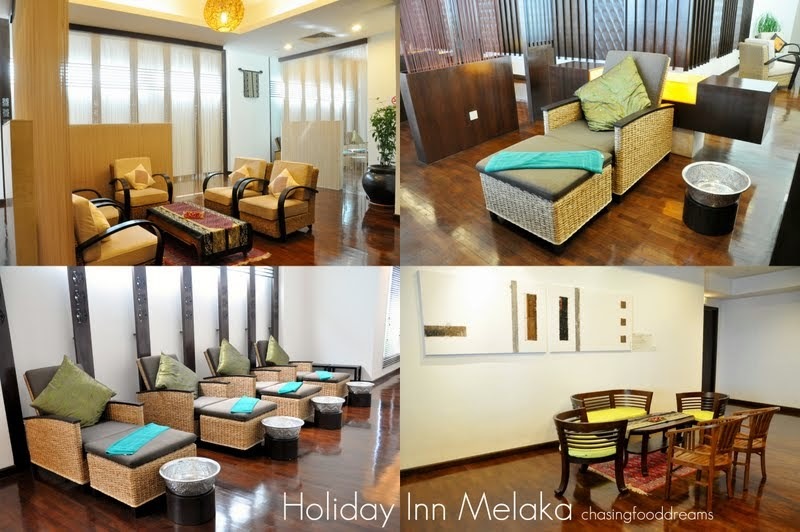 I do have to say I am very pleased at how well Holiday Inn Melaka maintains the overall hotel and service. After two years, everything remains just as it was before. Recently, Holiday Inn Melaka was also awarded The Best 4-Star City Hotel in Malaysia by the Ministry of Tourism and Culture Malaysia for 2-consecutive years in a row and 2014 Travelers’ Choice award by Tripadvisor.com. Well-deserved awards as the hotel staff was always full of smiles when I was there! Nice! Great location to, shopping mall right across the road, correct? The pool and the gym look cool! Love all your photos too Jen! Thanks for sharing these tips! I have always wanted to travel to Italy myself since it is where my father's side of the family is from. This summer, I plan on taking a trip there myself with my girlfriend. We have been looking at some villas for rent in Tuscany since that is where the family is from, and I'm hoping there are some places to golf there since that'd be a fun thing to do!